Much is still left unclear on Dylan Jobes latest game. Ever since the online epic, Warhawk, Dylan has been out of the videogaming world’s spotlight. Earlier this year, Dylan Jobe and a number of associates left Incognito, and formed their own development team, LightBox Interactive. And very soon, we are going to see what the newly formed studio has to offer. 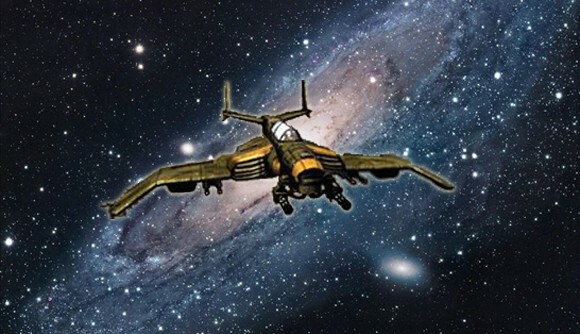 Having been dubbed, “Warhawk in space”, details on LightBox’s next game are slim other than the fact it’s being rumored to be the recently trademarked Starhawk. In a recent tweet by Dylan Jobe himself, he confirms the game is definitely in development, and it’s ready to show off to Sony. Could this pave the way for a game unveiling at next month’s GamesCom? Stick with PlayStation LifeStyle as we’ll bring you all the latest news on this developing game.